When is a fire alarm not a fire alarm? There are ten million deaf and hearing impaired people in the UK. That’s a huge amount of people that struggle to recognise a fire alarm. One in six people whose needs, frankly, are left wanting. But why? The current frenzy about cars artfully dodging emissions regulations is synthesized. Made up. People in the industry (I bet) have been rolling their eyes and saying that they have known it for decades. 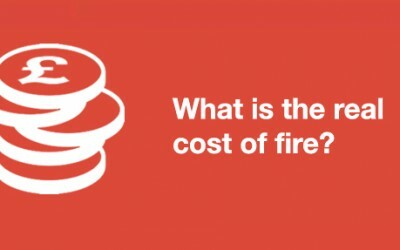 What is the real cost of fire? In 2015 a London hotel owner received a massive fine of £230,000, plus a four month prison sentence for huge fire safety breaches, including missing fire doors, no fire risk assessment and fire doors tied open using string and an extinguisher used as a wedge. 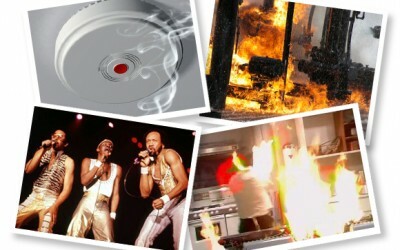 The most shocking false fire alarms uncovered! The fire alarm goes off and you immediately leave the building to safety. The fire brigade arrives with two fire engines to investigate the emergency situation which turns out to be — a slice of burnt toast. Perhaps you have encountered this situation. Fire safety — has your hotel got it covered? Did you know that around 42% of hotels in England fail to meet satisfactory standards in their fire inspection? In June 2015, David Schofield, owner of the Park Hotel in Paignton was fined £9,274 and sentenced to six months imprisonment for severe fire safety breaches. Is your fire door safe or life threatening? Fire doors protect lives. Regulations state they need to be kept closed. Wedging open fire doors is a risk which can result in devastating consequences. Here are some common examples that make a fire door useless. Mythbusters! What are the real health and safety issues in your school? Taking preventive measures to reduce accidents is a vital part of all schools’ ongoing commitment to health and safety. Unfortunately some people have taken this too far and it has resulted in some ludicrous policies being introduced. Wedging open fire doors poses a huge risk in the event of a fire as it allows fire and smoke to spread rapidly throughout the building. To avoid a heavy fine or a fire at your residence, here are a few safety fails to which other premises have fallen victim! Did you know that children breathe more air than adults? That means they are more likely to be affected by any contaminants in the air. School pupils can feel tired and unwell if there isn’t enough fresh air coming into the classroom. What’s the secret to happier staff and guests? A lack of fresh air increases air pollutants which can lead to headaches, fatigue and eye and throat irritation. Clearly, this is undesirable for guests and staff. Fresh air prevents pollutants and reduces the risk of guests and staff feeling groggy, hot and unwell. Why are installers choosing Freedor? Fire doors are a crucial part of fire protection and are the first line of defence when a fire breaks out. They prevent fire and smoke spreading throughout the building, saving lives and property. There are three million new fire doors bought and installed every year in the UK. Are your students alert and happy or plain drowsy? One of the major concerns on what impacts children’s performance in education is their school environment. Adequate indoor air quality depends on effective ventilation which provides cool, clean air and removes the build-up of pollutants. Are you allergic to your work? In 2013/14, an estimated 1.2 million people in the UK suffered from an illness they believed was caused by work. You wake up in the morning, you feel well. You get to work and you sneeze and cough all day. Do you ever feel like your place of work is making you ill? Is your hotel fresh and airy or hot and stuffy? In hotels, one of the most common complaints are rooms that are too hot with windows that can’t be opened, warm and stuffy communal areas especially when the weather is very hot outside. Is air conditioning enough to keep the air fresh and to keep your hotel comfortable? 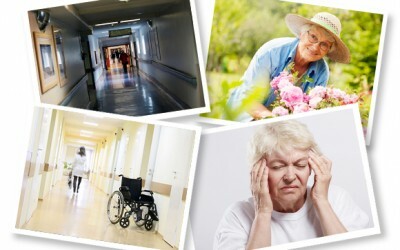 What does your care home feel like? The average person consumes 2kg of food and water and breathes out approximately 1,200 litres of carbon dioxide every day. With that in mind — how does that then affect the air quality of where we spend a lot of our time and how important is ventilation? Why do 84 out of 100 hotel staff take painkillers every morning? Day-to-day work for hotel staff can be tiring with long and unsociable hours. When a human rights organisation brought to attention that when 100 room attendants at a top hotel in London were asked if they ever take medication, 84 said they took painkillers every morning. Try our fun fire safety quiz! How well do you know your fun fire facts? Take our quiz to find out! A London care home has been ordered to pay more than £170,000 in fines and costs following a fire that killed an elderly resident. Woolwich Crown Court heard that the incident took place at Rose Court care home in Bermondsey on 26 March 2010.